Computer Controlled Star #ArtTuesday « Adafruit Industries – Makers, hackers, artists, designers and engineers! 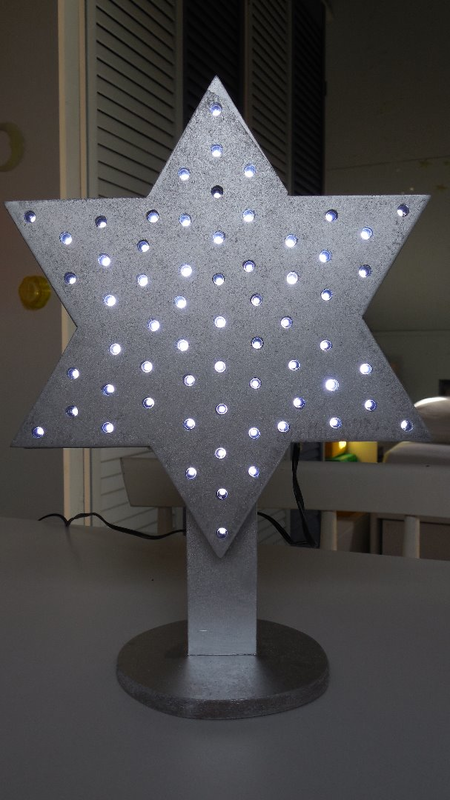 In this instructable I am going to show you how to build a Star with 64 LEDs. The Star operates by itself but the operation mode can be changed when connecting it to a computer via a serial (RS232) interface. After reconfiguring the Star via the computer, the Star will use the new operating mode as the new default. an of course be used during the Christmas period but it can also be used as a night light on a children’s bedroom since the stars has various modes that could help kids to go to sleep. This has not been proven by research :-). 1. 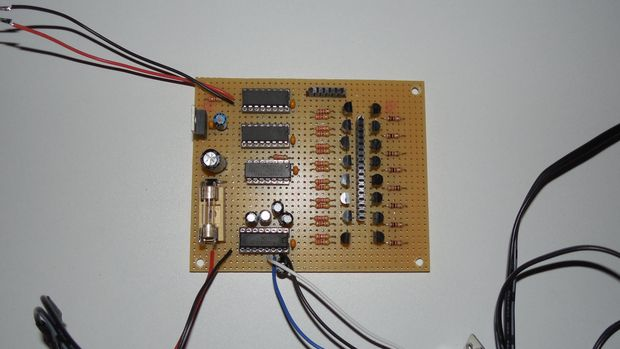 Control 64 LEDs individually with different brightness. The brightness can be set from 0 (off) to 15 (maximum). The Star uses an initial pattern when switched on but this pattern can be changed via the serial interface. 2. Blinking mode, which is changing the brightness of the individual LEDs to create a blinking Star effect. A variant to the blinking mode is the sparkling mode. See the attached document in one of the next steps for more info on this. 3. Test mode. This mode can be used to see if you build the star correctly. 4. Flashing Star mode. In this mode you can program your own sequence of LEDs that the Star will then use to switch these LEDs on and off one after another with the given brightness. 5. Random mode. The random mode can be used in various ways, e.g. for generating random Star patterns but also to create a random flashing Star pattern. 6. Auto off mode. When activated, the LEDs are slowly turned off. This is a nice feature when you use it in a children’s bedroom (‘You have to sleep before the star is off :-)”. My hobby is in electronics and software development and I am not an expert in mechanical constructions so feel free to create your own variants. The housing is built using 8 mm and 4 mm MDF, glued with wood glue. The electronics is based on a PIC microcontroller.